N/Core, an incubator for non-profit startups working towards poverty alleviation, has selected 10 early-stage ventures for its first batch, it said in a press statement. N/Core will offer an innovation grant of Rs 10 lakh to each selected startup, besides mentorship by industry experts. “It is an exciting phase in India where some of the best young innovators are readily entering the social sector and providing out-of-the-box solutions to age-old challenges. N/Core is eager to work with these passionate founders,” Atul Satija, founder of N/Core, said. The first batch of the six-month incubation programme, N/1, will kick off on September 11 in Bangalore. N/Core plans to incubate 100 non-profits over the next five years, running two batches every year. Foundation for Environmental Monitoring (FEM): Founded by Samuel Rajkumar, a water scientist, FEM works towards delivering low-cost, accurate technology to measure the quality of water. By making the solution open source, they have also ensured that the cost of technology continues to be affordable. Sushrat Foundation: It is a healthcare non-profit that works to reduce staff stress in government hospitals by using lean, six sigma, and kaizen methodologies. Shitij Malhotra, the co-founder of Sushrat Foundation, has over 10 years of experience in healthcare and education startups. Project Potential: This organisation is currently working towards alleviating unemployment in Bihar. 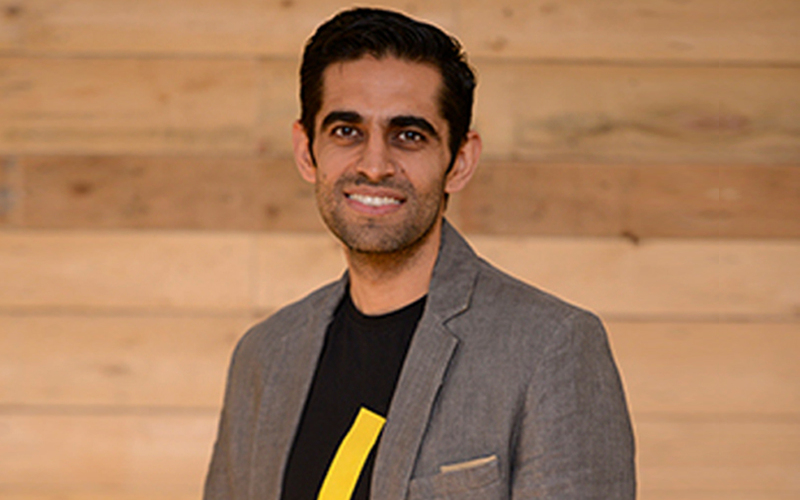 Its founder Zubin Sharma focuses on inculcating an entrepreneurial mindset in communities. Saarthi Education: This non-profit aims to transform parents' involvement in their child's development. It provides content and ensures that it is delivered to parents in low-income communities. Anahad Foundation: Anahad functions as a record label, producing unheard cultural folk songs that can bring about a positive impact on society. It was founded in 2013 by Abhinav Agrawal, an alumnus of Berklee College of Music and founder of record label Eclectica Records, and Siddharth Singh, a software engineer. NavGurukul: It works towards imparting software engineering skills to underprivileged young adults, irrespective of their formal educational baselines. The model is based on self-learning and experimentation. The non-profit was established in 2016 by Abhishek Gupta and Rishabh Verma, who have both previously founded ventures namely including Frankly.me and Airwoot, respectively. They are also co-founders of Zohem, an ad-tech startup. Sukhibhava Foundation: It attempts to tackle the large-scale problem of lack of awareness and affordability of menstrual hygiene solutions. The firm’s model empowers micro-entrepreneurs to disseminate the adoption of safe menstrual hygiene practices. The organisation was founded in 2014 by Dilip Pattubala, an Acumen Fellow and social entrepreneur, and Sahana Bhat, a management graduate from Symbiosis Institute of Management Studies. The Education Alliance: This non-profit works towards improving student learning in government schools through public-private partnerships. Volunteer for Justice: This programme aims to create a pro bono culture in the Indian legal system. Volunteer groups of legal professionals offer their services by way of legal advice and mediation and, if needed, representation in courts. Akshar Foundation: The Akshar team has developed a tiered teaching model that encourages older students, who have achieved faster progression, to teach younger students. This model enables Akshar to operate at a 1:100 teacher-to-student ratio, and helps students fast-track their learning through teaching. The selected startups will be mentored by N/Core’s partners, including Sanjay Purohit, former chairman of Infosys Consulting; Maneesh Dhir, partner at Social Venture Partners and former managing director of Apple India; KR Lakshminarayan, chief endowment officer of Azim Premji Foundation; and Ujwal Thakar, former CEO of Pratham and GiveIndia. The startups were selected from a pool of 1,032 applications from 2,654 entrepreneurs across 19 countries, N/Core said. N/Core was started in January by the Nudge Foundation, which is backed by Infosys co-founder Nandan Nilekani and Tata Trusts, among others. Nudge Foundation was founded in July 2015 by Satija, who was earlier chief revenue officer at InMobi. The foundation also runs Gurukuls, a residential school for underprivileged men and women where they are taught livelihood and life skills.